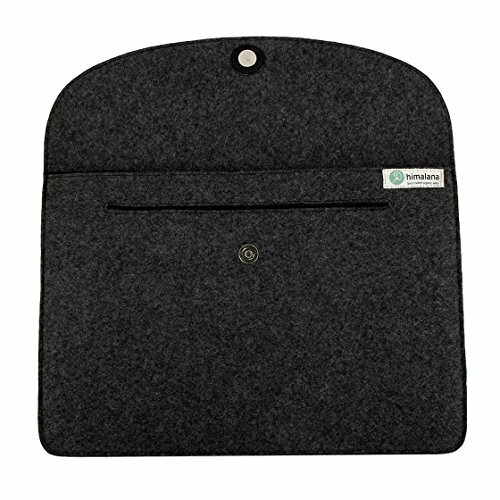 This laptop bag is with high-quality organic wool felt, can protect your computer better. Pure natural environmental protection material, soft flexible and durable, dustproof. Anti-collision when the computer impact to the computer when the better protection. Mojopanda Macbooks bag is very wear-resistant, not easy to damage, not easy to deformation, easy to fold storage. 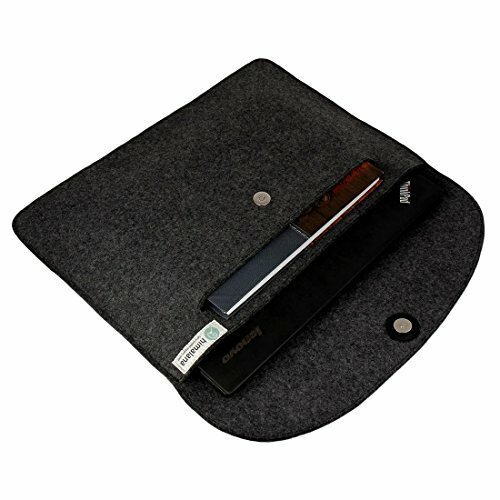 The front pocket of the laptop sleeve can hold your diary, E-books and other personal items. The pocket behind of it can put your phone, Earplugs and other things. This laptop bags come with 2 small back pouches for mobile phones and an inner packet for Tab/ I Pad or power chord. 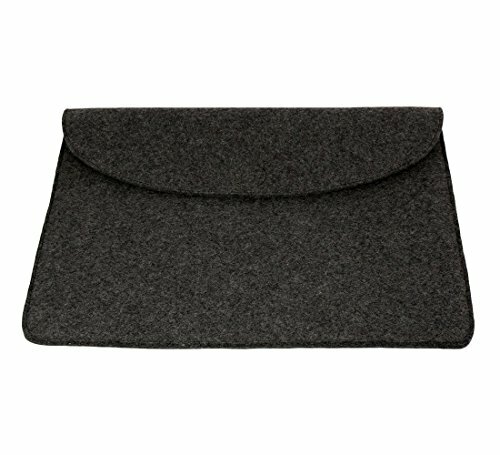 Laptop sleeve is the perfect accessory for today's professionals who want to protect their laptop in style. 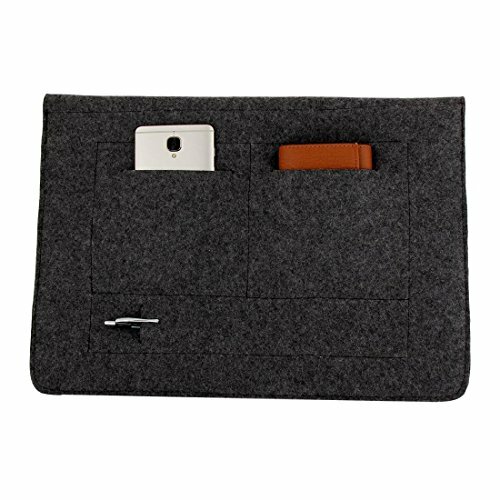 Wool felt is made of 100% natural wool, Soft to the touch, Weight light; Wool felt have the characteristics of buffering and shock absorption, protecting your equipment at anytime and anywhere. 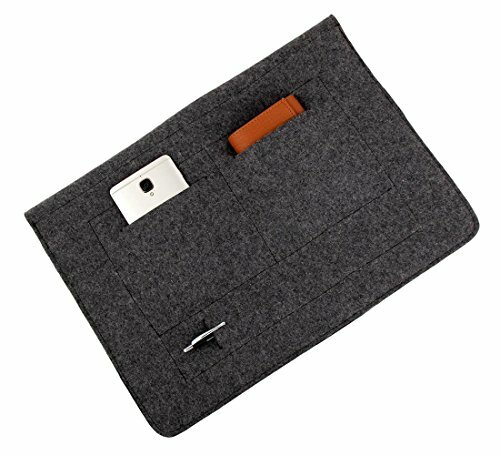 Additional organic Sheep wool felt bag can provide space for your small things like your mouse, mobile phone, mobile phone chargers, cables, earphones, power bank, etc. Environmentally friendly material chemical free, processed from virgin organic Himalayan wool these sleeves are shock absorbing, protective sleeves Flexible and durable. Dustproof, Anti-collision when the computer impact to the computer when the better protection. 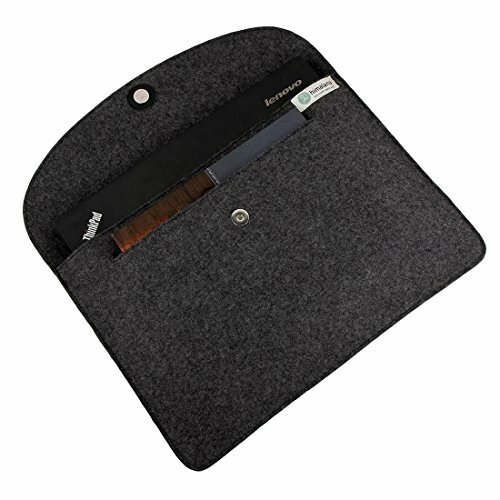 Approximate Dimensions: Exterior -14.25''(L)*9.64''(W)inch; This computer bag is very wear-resistant, not easy to damage, not easy to deformation, easy to fold storage. 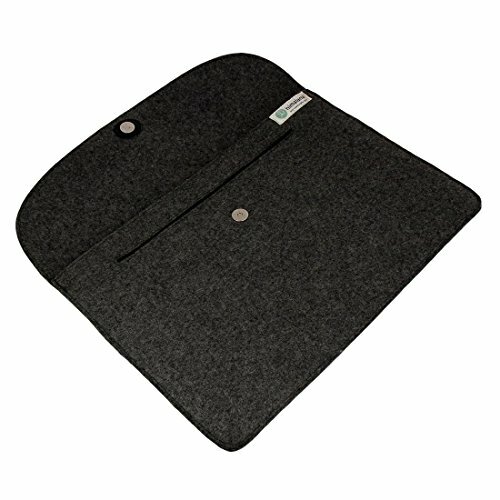 This computer sleeve using insulating materials can be insulated, effective avoid fire and it has good shock absorption and Water absorption, reduce the harm if you drop your laptop or splashing water on it uncarefully. If you have any questions about this product by MOJO PANDA, contact us by completing and submitting the form below. If you are looking for a specif part number, please include it with your message.